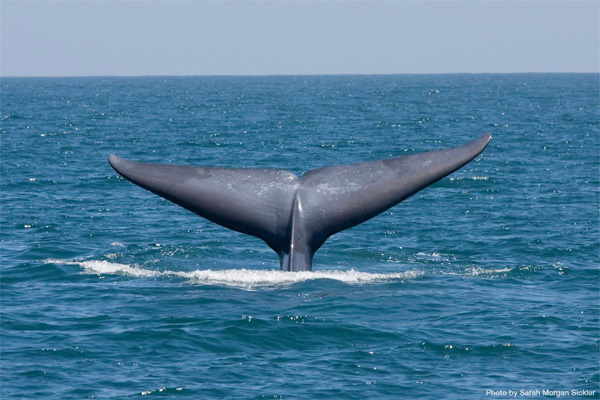 Whale Watching is in full swing and we have enjoyed being out on the water between winter rainstorms. Whales are not the only exciting sites – sometimes we have the opportunity to see some awesome ships! Sometimes we’ll see a few different ships on our way out of San Diego Bay. On one of my trips this season, I was privileged enough to see some pretty unique ships as well as a variety of different ocean wildlife. 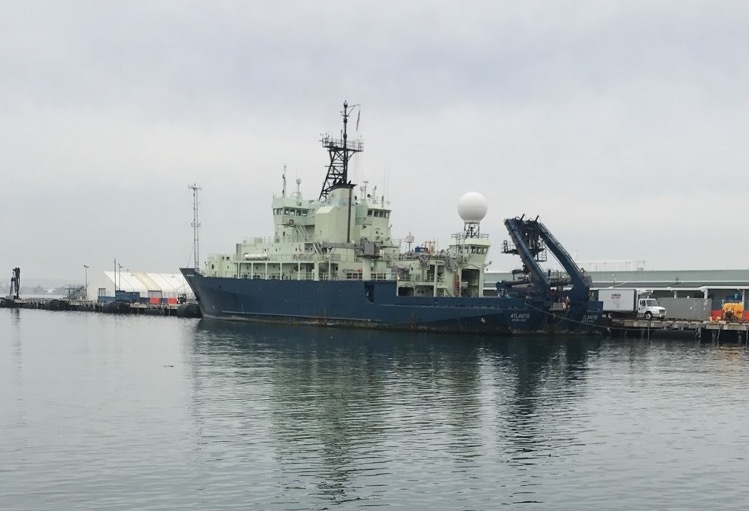 The R/V Atlantis‘ homeport in Woods Hole, Massachusetts and the vessel paid a visit to the B Street Pier in late December. While the Marietta didn’t sail past her, it was interesting to see another oceanographic research vessel as I walked up, ready to whale watch. The R/V Atlantis is run by Woods Hole Oceanographic Institution. Normally, the aircraft carriersUSS Theodore Roosevelt and USS Carl Vinson are moored at Naval Air Station North Island, and we see them as we sail past the base to open the tour. One day, we got a stunning view of the Roosevelt as she sailed back into the bay as we passed each other starboard-to-starboard.